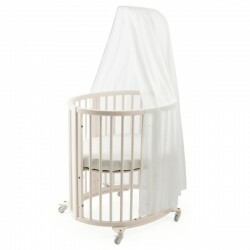 CRIBS AND COTS There are 14 products. Features Height adjustable mattress bottom makes lifting your child in and out easier. Lockable swivel wheels make it easy to move from room to room. Rods and perforated mattress bottom for maximum air circulation. Pressure resistant, hypoallergenic PU foam mattress with removable cover. 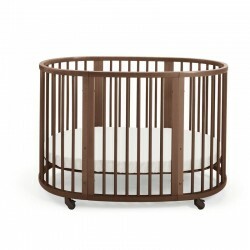 What’s included: Complete Stokke Sleepi bed and mattress. Height adjustable mattress bottom makes lifting your child in and out easier. Lockable swivel wheels make it easy to move from room to room. Rods and perforated mattress bottom for maximum air circulation. Pressure resistant, hypoallergenic PU foam mattress with removable cover. 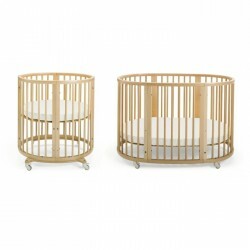 What’s included: Complete Stokke Sleepi bed and mattress.